It has been such a busy year that I’ve only just got back to working on another large scale painting. This piece was the last big canvas I did, completing it in the autumn last year. The painting, done in thick over-lapping brush strokes in traditional oil colour, is based on views we’ve seen while walking the hills around Blackmount. 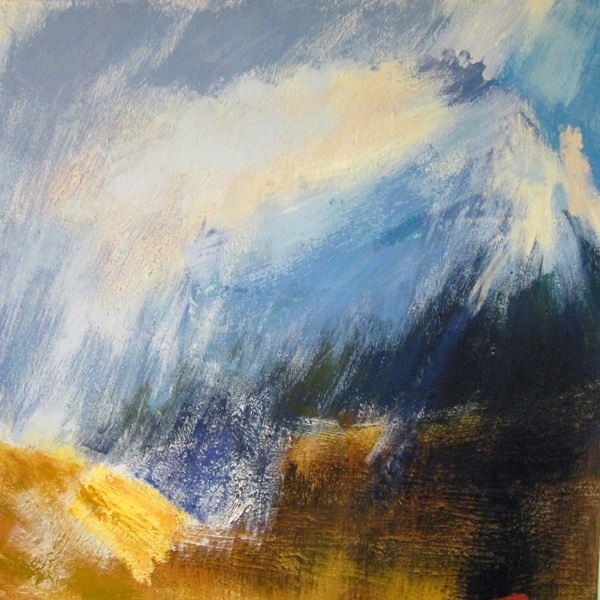 On this scale the painting tends towards the abstract but hopefully conveys much of the drama, colour and atmosphere of this Wild Mountain and moor-land landscape. This painting is currently stored at my studio and can be viewed on request. Visitors are always welcome. >> Next Post: Isle of Arran Distillery exhibition – 3 weeks to go….